Kiersten Latham has been dancing almost as long as she’s been walking. At age 3 she was enrolled in dance classes at a local dance studio in her hometown of Creston, Iowa, and by the time she finished high school, she was a teacher at that same studio. Kiersten’s dance skills also earned her a scholarship from Southwestern Community College, where she’s now a member of the Dazzlers dance team. Although she makes the dance moves look easy, Kiersten has vivid memories of a time in high school when her hip seemed to start fighting against her. As a dancer and a multi-sport athlete, Kiersten had been constantly active her whole life. This sudden pain made no sense to her or to her family. They visited a local orthopedic surgeon and learned that Kiersten had hip dysplasia, a condition in which the hip joint has not formed properly. The socket portion of the joint is too shallow to support the ball within it, resulting in intense pain, especially during activity. Left untreated, hip dysplasia can lead to arthritis. While the diagnosis was upsetting enough, the Lathams also learned from their local surgeon that the procedure Kiersten needed—known as a periacetabular osteotomy, or PAO—requires specialty care that is not easy to find. Meanwhile, Kiersten endured the pain so she wouldn’t have to stop doing the things that she loved to do, including dancing, softball, basketball, cross country, and track. For relief, she had to frequently “pop” her hips back into place—a practice that became familiar to her teammates. 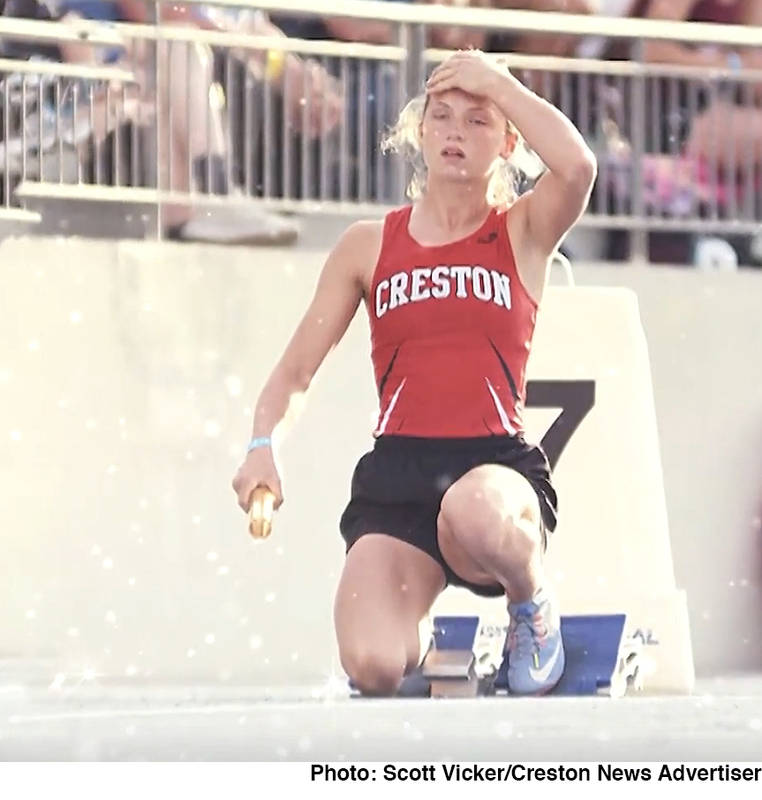 Early in her junior year she had to quit cross country because the uneven terrain was too rough on her hips, but Kiersten continued to dance and compete in other sports, including making the state meet in track. Then the Lathams learned about Michael Willey, MD, a University of Iowa Health Care orthopedic surgeon who specializes in PAO. Willey and orthopedic surgeon Robert Westermann, MD, offer a comprehensive young adult hip clinic that helps people like Kiersten get back to a normal life. As Kiersten prepared for the surgery during the summer between her junior and senior years of high school, she also had questions. Willey performed the PAO at UI Stead Family Children’s Hospital in July 2017 and then provided the guidance the Lathams needed to help Kiersten get through months of rehabilitation and achieve her goals. From a wheelchair to crutches to a cane, Kiersten progressed through her recovery until she was finally allowed to do some light running. In late November of her senior year, she hit a milestone on her trip to full recovery when she competed in the state drill team competition. One major goal remained: getting back to the state meet in track. The first meet of the season set the tone for the year when she ran the 400 meters in her fastest time ever. “I just looked at her and said, ‘You’re back,’” Tammi says. Later in the season, Kiersten’s relay team set a school record. And she did return to the state meet in two events: distance medley and 4x400 relay. Now Kiersten will set her sights on bigger goals, knowing that whatever she does, she won’t have to worry about physical limitations.